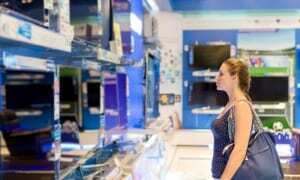 How To Buy The Best TV DVD Combi - Which? Whether it's for your bedroom, caravan or kitchen, TV DVD combis offer a fuss-free way to watch DVDs and Freeview TV. Our expert guide will help you pick the perfect new model for you. TV DVD combis - televisions with built-in DVD players - are an appealing solution if you're struggling for space and don't want a DVD player cluttering up your living room. Great for holidaymakers, caravan owners and students at university, combis are more portable than regular TVs. Most combis come with Freeview tuners, and some include premium features such as Freeview HD, app support for Netflix, BBC iPlayer and Facebook, plus built-in sound bars. Read on to see what to look out for when you're buying a combi, whether it's for your living room, caravan, kitchen or bedroom. Is a TV DVD combi right for you? 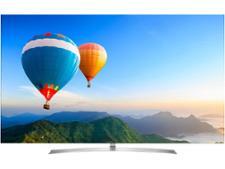 Should I buy a TV DVD combi? You can pick up a combi where you'd usually see standard TVs - think John Lewis, Currys PC World, Tesco and Argos. They're typically cheaper than TVs. Top-end models can go higher than £300, with premium sets including web browsers, apps and remote control functionality for Apple and Android smartphones. 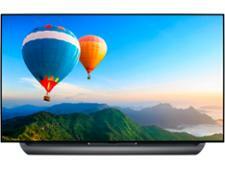 None of the four big TV brands – Samsung, LG, Panasonic and Sony – are involved in this market. Instead, you'll see the likes of Avtex and Hitachi, along with retailer brands including Logik (Currys PC World), Alba and Bush (Argos) and Technika (Tesco). While you're shopping, consider an aerial – a potentially useful addition if you value portability. Our indoor aerial reviews cover models costing as little as £15. Great TV DVD combis are defined by top-notch picture and sound quality, good enough to serve up an experience you'd expect from a pricier product. I want a cheap TV to watch DVDs on. A combi will suit you perfectly. You don't want all the hassle that comes with connecting a separate DVD player, or you don't have the space for one. I want to watch Freeview TV and the odd DVD. All combis come with Freeview, and some have Freeview HD tuners, meaning you can watch both standard and HD channels. I want a TV to take on holiday. Some TV DVD combis can be powered through a cigarette lighter socket, found in most cars, campervans and boats. This makes them easier to move around compared to regular TVs. I want a main TV for my living room. If your new combi will become your main TV, you’ll want a model with a large, Full HD display. This will give you the sharpest picture quality on Freeview HD. A key feature that separates a TV DVD combi from a regular TV is portability. Combis are typically far easier to transport if you're moving them from one room to another, which makes them ideal for caravans and mobile homes. What size TV suits my caravan? Think about where you can put your TV in your caravan and bear in mind that you'll need to be able to secure it while your driving. Look for a model with a sturdy stand, or a light TV that can survive a few bumps and scrapes. If there's space and you can find a suitable bracket, mounting your TV on the wall may be a good option. How do I power my combi in a caravan? Most TV DVD combis can be plugged into the mains and are also 12V compatible, making them perfectly suited to caravans. Certain models can be plugged into a cigarette lighter socket, a feature that the majority of regular TVs don't have. 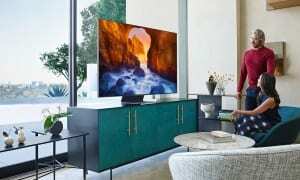 Which smart-TV features are important to me? As wi-fi becomes more widespread at caravan parks, many TV owners are looking for sets that are internet-enabled. If you enjoy streaming content through BBC iPlayer and Netflix, consider picking up a combi that has a smart TV system. You could always get an internet TV box and plug it into one of the combis HDMI inputs. These streaming sticks come with a range of streaming apps and can access the internet even if your TV can't. 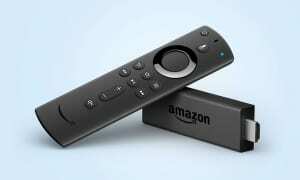 Popular models include the Amazon Fire Stick, Apple TV and Google Chromecast. Combis come in all shapes and sizes, whether you're looking for a TV for the kitchen or your kid's bedroom. If you're want a combi to put in your kitchen, we recommend a 22-inch or 24-inch model. A TV of this size will fit nicely on your kitchen counter and built-in Freeview means you'll have lots of channels to flick through. For a bedroom it will really depend on how far you'll be from the TV. Work out where in the room you want it to go and use our free TV size tool to see how big a TV you need. For a kid's room try to find a TV that has access to smart apps, such as YouTube Kids and BBC iPlayer Kids. With these installed you can be sure that children are watching age-appropriate videos. If you settle for a combi that doesn’t have apps pre-installed, you might want to invest in an internet streaming stick. Plugging a streamer into the HDMI port of your TV gives you access to apps including All 4 and BBC iPlayer. Since they're usually low-cost, combis can be ideal for university students because they're portable and easy to set up. On top of that, lots of them arrive with smart TV apps pre-installed, so you can explore BBC iPlayer, Netflix and YouTube right away. If you're using a laptop and need more screen space, you can hook up a computer to a combi using a HDMI cable. You can also use a combi's USB slot to play music through it. TV DVD combis can also be good for younger children. They are often cheaper than regular sets and portability combis with smaller displays are naturally easier to operate and to move around. Some combis also have smart TV features built in, which means that if the TV is connected to your home internet, you'll be able to download a selection of child-friendly apps and games. TV DVD combis are great if you want a simple and affordable product. They're worth considering if you're after a TV to play DVDs or watch television in a second living room, study or kitchen. They're great presents for a son or daughter heading off to university, or a grandchild who loves to watch DVDs in their bedroom. Caravan owners can buy a power adaptor to use their TV DVD combi away from home. 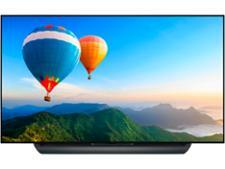 If you're after a TV for the living room or a model with a screen size over 32 inches, you may be better off buying a high quality TV and a standalone DVD player, or even upgrading to Blu-ray. Combis excel on price and simplicity, but they don't always give you the best possible quality when compared to a regular TV. 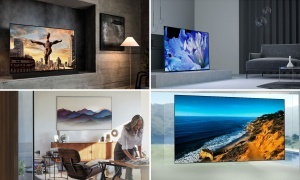 For some alternative options, take a look at our TV reviews page, which features models from Samsung, LG, Sony and other big-name brands.